This irresistible elixir fires up scrambled eggs, grits, oysters, burgers, hot dogs, fries, fish, shrimp, chicken, ribs, grilled vegetables, cheeses, sandwiches, wraps, quesadillas, soups, pizza and pasta dishes. 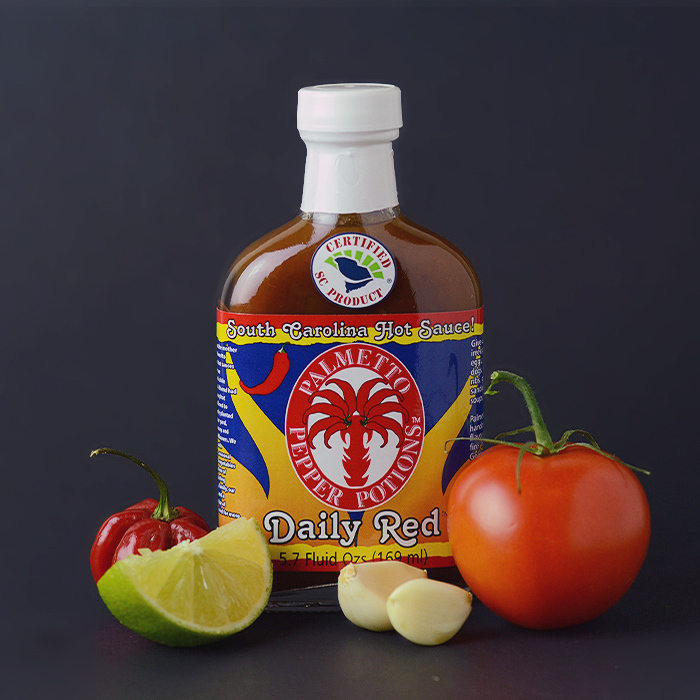 Daily Red is a blend of red habaneros, tomatoes, fresh lime and garlic. Tomatoes, fresh onions, red habanero peppers, fresh garlic, fresh lime, distilled vinegar, honey, seasonings, citric acid, xanthan gum, kosher salt. 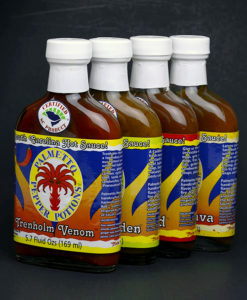 Palmetto Pepper Potions™ sauces are handcrafted for superbly balanced flavor, harmonized with exceptional fire. Try Larynx Lava™, Molten Golden™, and Trenholm Venom™. Inspired by the beauty, hospitality and heat of South Carolina. Daily Red hot sauce has been handcrafted to the music of Sister Hazel.